The IRS whistleblower program has been around for almost as long as the federal income tax. In 2007, Congress put real teeth in the law and provided whistleblowers more rights in big cases. Recently the U.S. Tax Court had the opportunity to address the ability of whistleblowers to challenge the amount of the their award when the IRS claims the recovery of tax is less than $2 million. When recoveries meet the threshold, whistleblowers are entitled not only to a mandatory award but have the opportunity to appeal to U.S. Tax Court if they believe the award is too small. Enter Robert Lippolis. The IRS said it collected $844,746 from a taxpayer turned in by Lippolis. 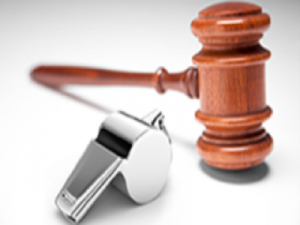 (The Tax Court publishes the names of whistleblowers only if the whistleblower goes to court and challenges the amount of the award.) Using its discretionary authority, the IRS awarded him 15% or $127,000. Lippolis challenged the amount of the award. The IRS claimed that under its whistleblower program rules, Lippolis was not allowed to challenge the award because it was a discretionary award. The government asked the court to dismiss Lippolis’ challenge saying that he failed to meet the $2 million collection threshold. In a case of first impression, the court denied the IRS’ motion to dismiss. Because taxes are by their very nature confidential, a whistleblower would never know just how much the government collected. Instead, the whistleblower would simply have to trust the IRS’ collection calculation. The Tax Court ruled that the IRS has the burden of proof of showing that it didn’t collect more than $2 million. Only if it proves the threshold was not met will the court dismiss Lippolis’ petition. The decision is considered a “win” for claimants participating in the IRS whistleblower program but will probably have little practical effect. Unless the IRS lies or makes a mistake about the amount it collected, the amount paid to whistleblowers won’t change. Still, it means that those who don’t trust the IRS’ math can get their day in court.